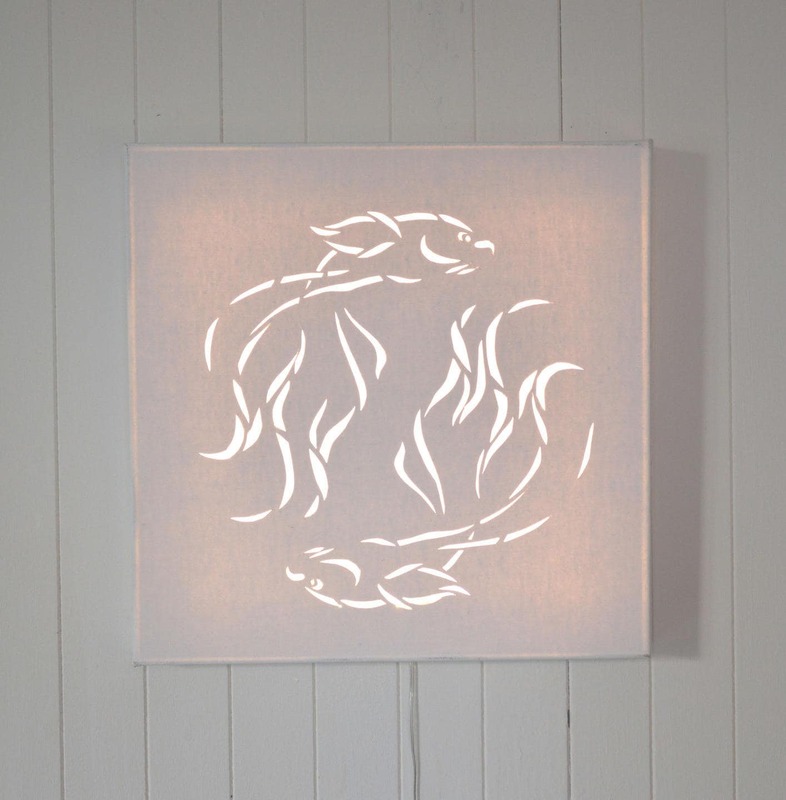 LED canvas art 'Japanese fishes'. 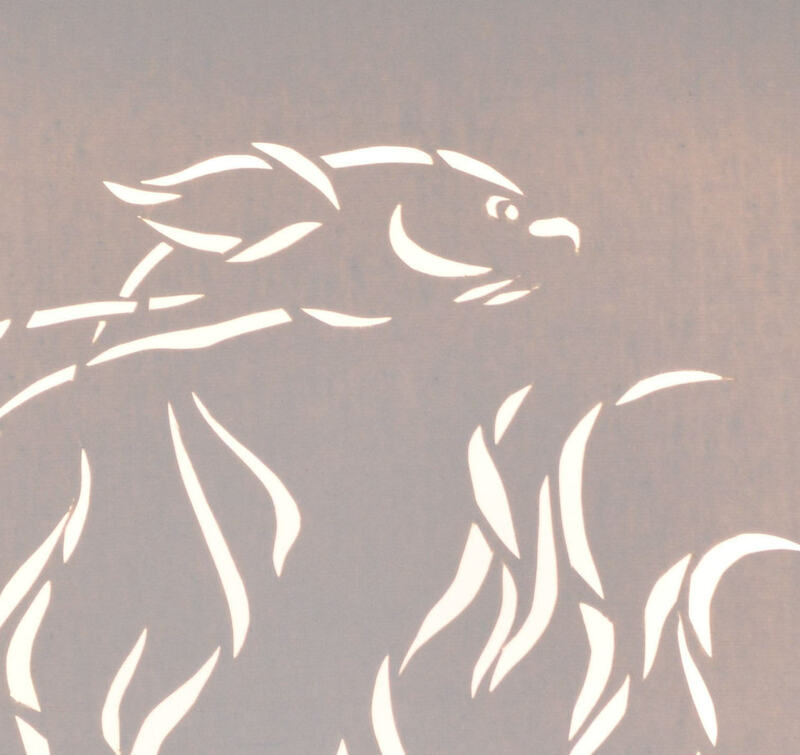 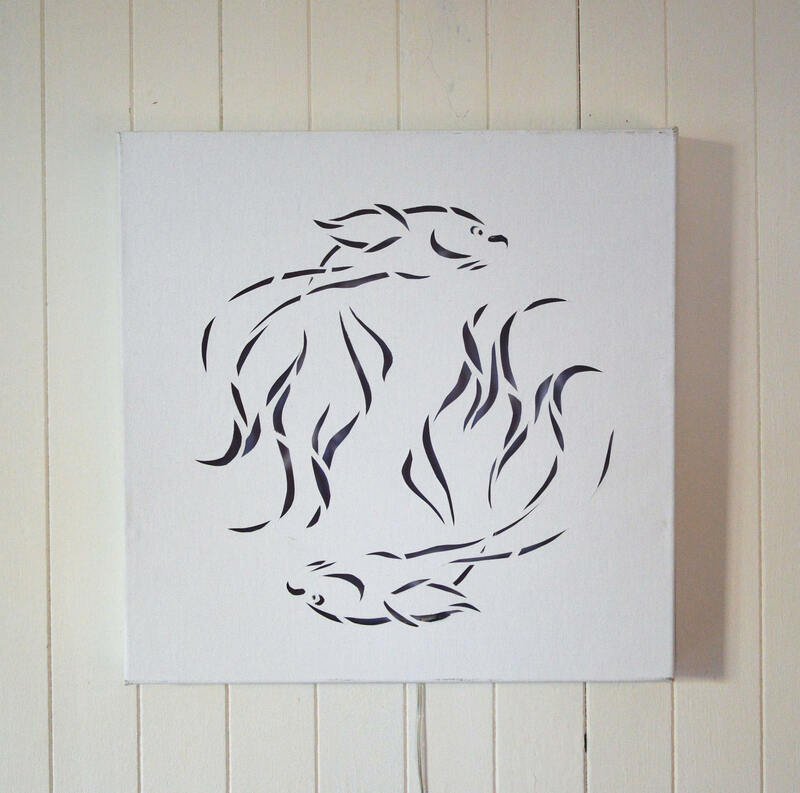 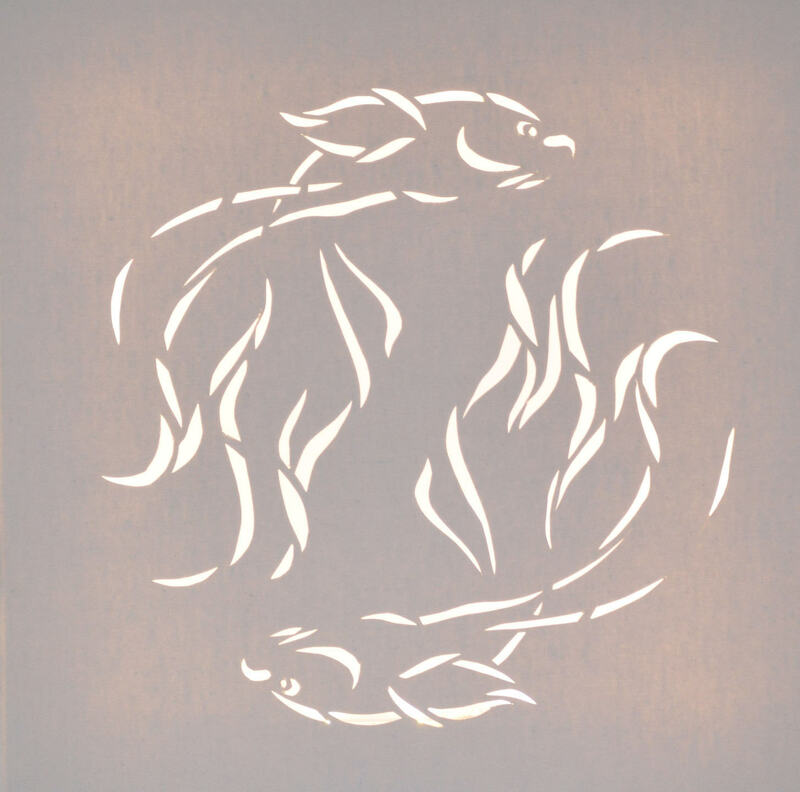 The fishes are cut in a canvas on a white frame and illuminated by LED for a nice soft and zen atmosphere. 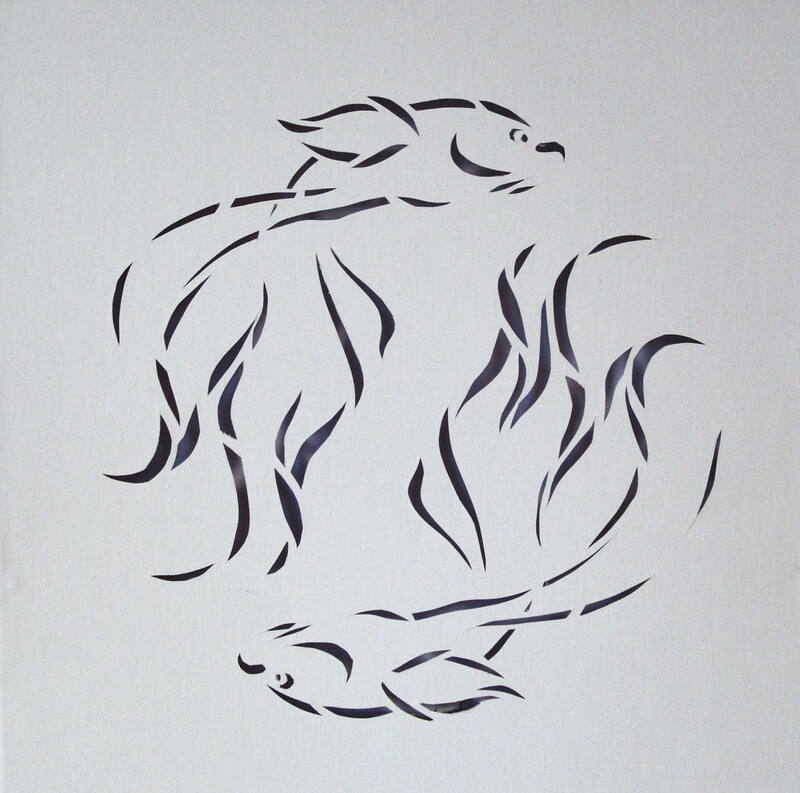 Artwork signed on the back.